Check it out in our Museum Shop and on Amazon! The exhibit The Work of Play sought to examine the relationship between trades and leisure time. Historians of early American economics already understand the interdependency of various trades; for example, the farmer needed the distiller to turn his apples into hard cider so he can transport them to market, the distiller needed the cooper to make the barrels for holding the cider, and the cooper required the blacksmith to forge his tools. But rarely do economic historians examine the trades that flourished due to the leisure time of early Americans. For example, musical instrument makers made a living by producing instruments for working class people, who used them at social gatherings, and for middle and upper-class women, who used them to demonstrate their social graces. Ultimately, these activities would help to support not only the makers but poet-composers, music teachers, and musicians. 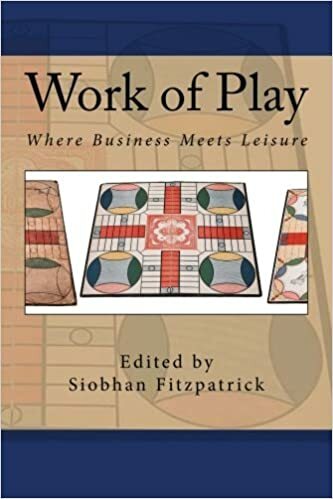 Taking a topical approach, The Work of Play demonstrated these multilayered connections between the leisure activities of early Americans and the trades they helped to support. The exhibit explored the topics of Toys and Games, Print Culture, Music, Fashion, and Taverns. This exhibit was open from February to September 2013. In eighteenth and nineteenth century America, upper-class men and women actively pursued high fashion in their leisure time. Often spending a large amount of time and money, these men and women worked hard to be the most fashionable at parties and other events. Working class individuals were not left out of the fashion world as middle-class men and women also kept on top of the newest trends. However, while the upper-class could afford to purchase the items needed to be fashionable, middle-class individuals created their own copies of fashion, often sewing their own clothing. The upper-class also hired hairdressers and ladies’ maids to assist them with their fashion choices. While initially not popular, board game production developed into an industry in the late nineteenth century. The first popular board games were based on European and South East Asian games as they often focused on moral uplift, education, and strategy. These games were also popular as they were deemed socially acceptable to play on the Sabbath and a market developed for family games. Early Americans had a high literacy rate and participated in an exchange of printed material across the Atlantic. Most households contained a Bible, religious tract and basic speller for teaching young children, and newspapers and magazines could be found at local taverns. Middle and upper class families often had libraries within their households which contained many other books from fiction to nonfiction. In early America, there were no recordings of music, so all music was live. Early Americans, however, had many music options, from parades, church services, concerts, dances, and sometimes in their own homes. Sheet music was also prevalent at this time as both amateur and professional musicians produced and consumed it. The best place to rest, drink, game and socialize in early America was the tavern. Taverns were often the center of male social activity in the community, with gambling, drinking, and other diversions. Merchants also conducted their business at taverns, as they were easy to locate and a friendly drink or two could help smooth the negotiation process.